The law firm, Wannemacher & Partner, was founded in 1981 by its namesake, Wolfgang Wannemacher. It was one of the first law firms to specialise in the field of → criminal tax law and → tax disputes. We have preserved and maintained this speciality over the years and expanded it to include the field of → criminal commercial law. We have kept the name of the founder of the firm, who left in 2003. Due to its consistently good reputation, the law firm, Wannemacher & Partner has established itself as a national “brand”. We do business today as an mbB partnership company. Our eight partners are supported by other professionals and scientific colleagues and, of course, by our administrative staff. In 1986, the firm published the „Steuerberater und Mandant im Steuerstrafverfahren“ (“Tax Consultant and Client in Criminal Tax Proceedings”) manual. 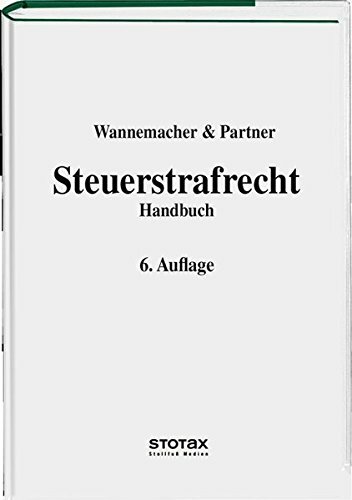 Now, it is called the „Handbuch Steuerstrafrecht“ (“Criminal Tax Law Manual”) and is now published as the 6th edition by the Stollfuß publishing company (ISBN 3-08-371326-5). The more than 1,100 page manual contains the experience and knowledge of a wide range of renowned guest authors and the members of our firm. The manual explains all areas of → criminal tax law and administrative tax offences on a practical basis. Tax-related problems relevant to consulting are presented clearly and solution approaches and preventive strategies are demonstrated. The explanations are supplemented by a comprehensive description of the individual parts of the procedure. The risks of the consultant’s responsibility with respect to criminal tax law and laws related to fines are also discussed. (RA Stahl in KÖSDI 12/99 4th edition). Our practical experience and our knowledge originate from our speciality areas and only there are both targetedly applied: customised, committed, efficient and highly discreet. The Handelsblatt (a German financial periodical) crowns „Deutschlands beste Anwälte“ (“Germany’s best attorneys”) every year. Our firm has been on that list since 2013. In 2017 Wannemacher & Partner is once again one of the recommended law firms. Dr. Markus Gotzens is distinguished in 2018 as one of five best attorneys in Germany for criminal commercial law. The ranking published by the Handelsblatt is based on a survey from the US publisher, Best Lawyers that asked attorneys which attorney they would recommend “if they could not take the client themselves”. In 2009, WirtschaftsWoche (German weekly financial periodical) named the best tax attorneys in Germany. The multi-stage selection process was based on four criteria: Demonstrable successes, experience, strength of the firm’s team, cost awareness. As a result, WirtschaftsWoche classified Wannemacher & Partner as a “top law firm”. The JUVE „Wirtschaftskanzleien“ (“Commercial Law Firms”) manual is one of the most important directories of its kind. The JUVE editorial board evaluates approx. 900 commercial law firms in Germany every year. Only the best are included in the speciality-based ranking lists. Wannemacher & Partner has been recommended by JUVE for several years as a leading law firm for criminal tax law and criminal commercial law. At irregular intervals, the magazine, Focus, offers a selection of attorneys who have a good reputation in a variety of legal disciplines. Focus’ „Anwaltsliste für Steuerrecht“ (“List of Tax Law Attorneys”) has regularly recommended Wannemacher & Partner for criminal tax defence and tax disputes since 2005, citing frequent recommendations from colleagues and an above average number of specialist publications. Thus, the Focus editorial department considers Wannemacher & Partner one of the best tax law firms in Germany.